Works by the acclaimed artist and musician, Brian Eno, have gone on display at Hammersmith Hospital. Imperial Health Charity, which manages the art collection at all five Imperial College Healthcare NHS Trust hospitals, has organised the installation of four vivid prints in the Nuclear Imaging Department. The works focus on the possibility of light, with lenticular images giving an illusion of depth and animation. As you walk past, the forms within the work begin to move and the colours begin to intensify and fade, bringing the 2D work to life. “We’re grateful to Paul Stolper for helping to realise this installation and for generously donating one of the prints”. The charity is a keen advocate of art in hospitals and manages a collection of over 2000 art works at the five Trust hospitals. 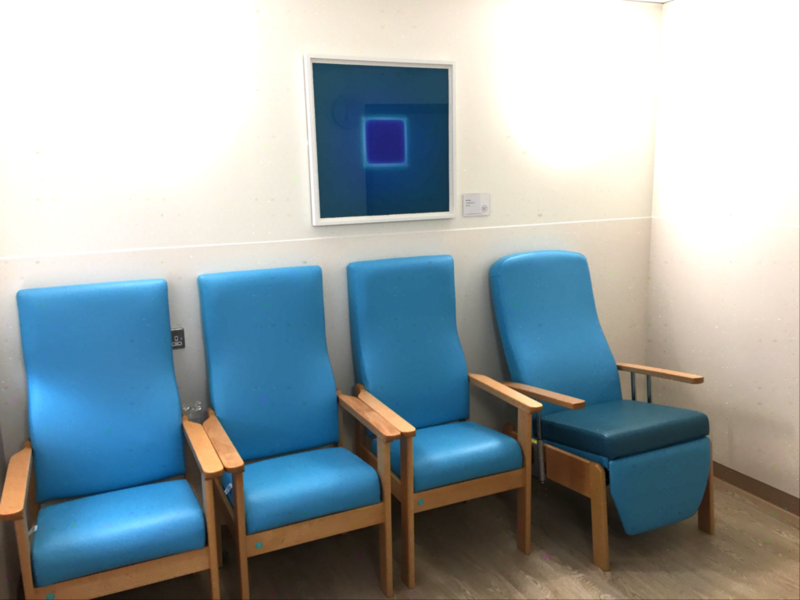 A 2014 survey carried out by the charity revealed that 69% of patients credited the art collection with making them feel more relaxed in the hospital environment. In addition to his prolific music career, Eno has exhibited internationally, including at the New Museum of Contemporary Art in New York and the Pompidou Centre in Paris. In 2009 he was invited to exhibit on the iconic sails of the Sydney Opera House in Australia. 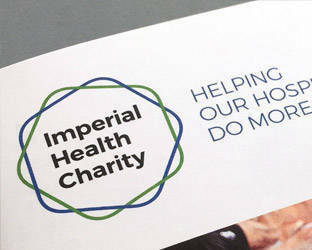 To find out more about the charity’s art collection, click here.